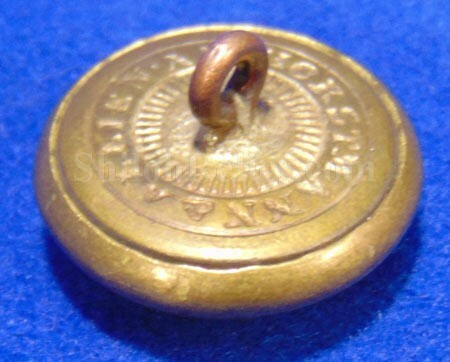 Here is an original non-excavated coat size Civil War era Dragoon button. The dragoon branch of service was a group of mounted rifleman. 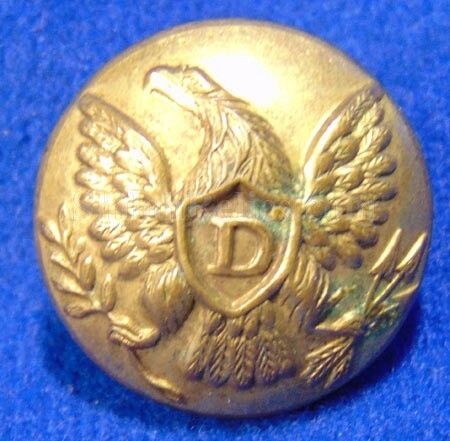 The face of the button has the spread-wing eagle with the "D” shield on its chest. This denotes the dragoon branch of service. The face of the button has very nice detail remaining. The original back and shank are intact. It has the correct rays design with the "HORSTMANN & ALLEIN NY" maker’s mark on the back that is visible. 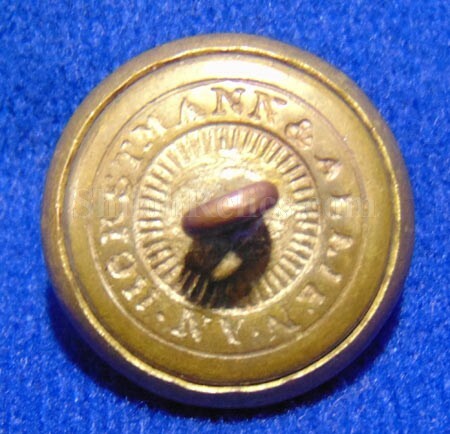 This is a great looking Civil War 21mm uniform button.